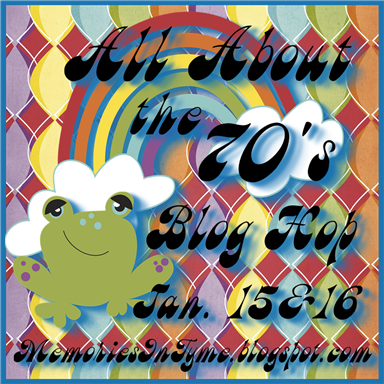 Hello, and welcome to Sweet Stamping Treats "Highlights" Blog Hop. This hop is all about highlighting some of our favorite stamps from Sweet Stamping Treats. If you arrived here from Sandy's blog you are in the right place. 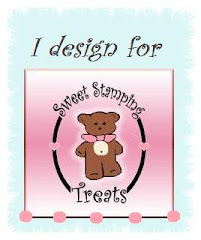 If you want to start from the beginning please go to http://sweetstampingtreats.blogspot.com/. This hop is full of great projects and prizes! Sweet Stamping Treats is giving away the entire January release to one lucky hopper who is a follower of Sweet Stamping Treats and comments on all of the blogs in the hop. 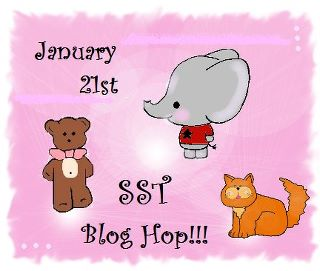 Plus, there are some single stamps "hidden" in a few of the blogs along the way. 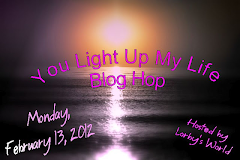 For a chance to win one of the singles you must comment on their blogs and be a follower of their blogs too. I created a 3 x 3 Note Card set with a matching box. The coloring was done with "Bic Mark-It" markers and a blender pen from Letraset. Thanks for hopping along! Your next stop is Lawren. So Glad you could stop by hope you are enjoying the hop and all the wonderful projects. These are adorable! What a great gift idea. Such an awesome project, very creative! I have to make a set! Thank you for inspiring me.. I never heard of Bit-marker-it, I will have to check it out...it is any cheaper than copics??? I loveeeeeeeeeeee the black and white dotted paper and the touch of the other colors on the floral and leaves really pop! Beautifully done! I am a new follower! Janet these are darling. They look so professional. It must have taken forever to cut these all out! WOW......... your card set is beautiful. Nice hoping along with you! Happy crafting! That is too cute! I love the coordinating box! Those cards are so cute. What a great little gift for someone. Thanks so much for sharing. OMG! Your cards are so adorable and the box that holds them is wonderful. So cute and you always need little notes to have on hand!! TFS! love these. who wouldnt want to get this box of lovelies out each time they wanted to jot something down. What cute notecards! LOVE them! I'm your newest follower. Love the idea of the note cards.Too cute. 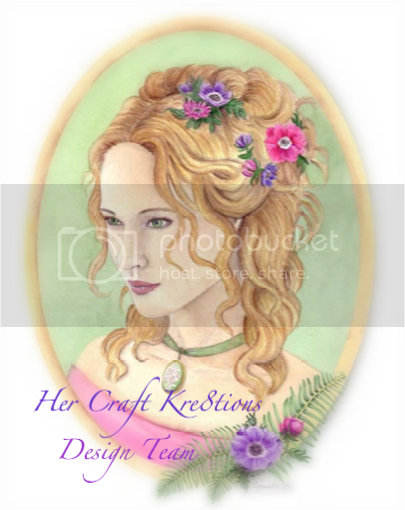 What a FABULOUS little notecard set!!! I especially LOVE the polka dots and your coloring is FANTASTIC!! !